The Smartphone Company known as Apple has successfully launched one of the most highly anticipated smartphone named iPhone X. The phone comes with intuitive gesture that allow a single swipe takes you home from anywhere instead of pressing a button. 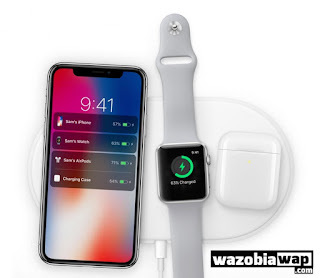 It supports wireless charging I.e with no charging cable required, iPhone X is truly designed for the future of wireless. You can charge with wireless charging station, mats, cafe, airports and anywhere around the world. The iPhone X display has rounded corners that follow a beautiful curved design, and these corners are within a standard rectangle. It features Super Retain HD Display of 5.8-inch (diagonal) all-screen OLED Multi-Touch display. 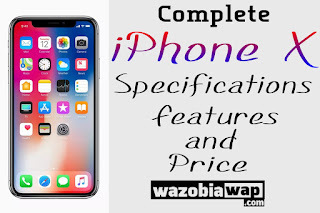 The iPhone X is dust, water and splash resistant rated IP67 under IEC standard 60529.
iPhone X features 3GB RAM with 64GB and other version of 256GB inbuilt memory storage. It doesn't support external SD card. For better performance, it runs on iOS 11, using Apple A11 Bionic chipset and Hexa-core CPU processor. In the battery aspect, it features battery that is 2 hours longer than the iPhone 7 with fast charging technology that charges 50% in 30 minutes. It has 13 hours video playback, and 60 hours audio playback. It has 12MP + 12MP back cameras with LED flash and 7MP frontal camera. The phone has many sensors: Face ID, Barometer, Three-axis gyro, Accelerometer, Proximity sensor, and Ambient light sensor. Other features of the iPhone X includes: VoiceOver, Zoom, Magnifier, Software TTY, Siri and Dictation, Type to Siri, Switch Control, Closed Captions, AssistiveTouch and Speak Screen. BATTERY - Non-removeable battery that lasts 2 hours longer than iPhone 7. It features fast charging technology that charges 50% in 30 minutes. It has 13 hours video playback, and 60 hours audio playback. 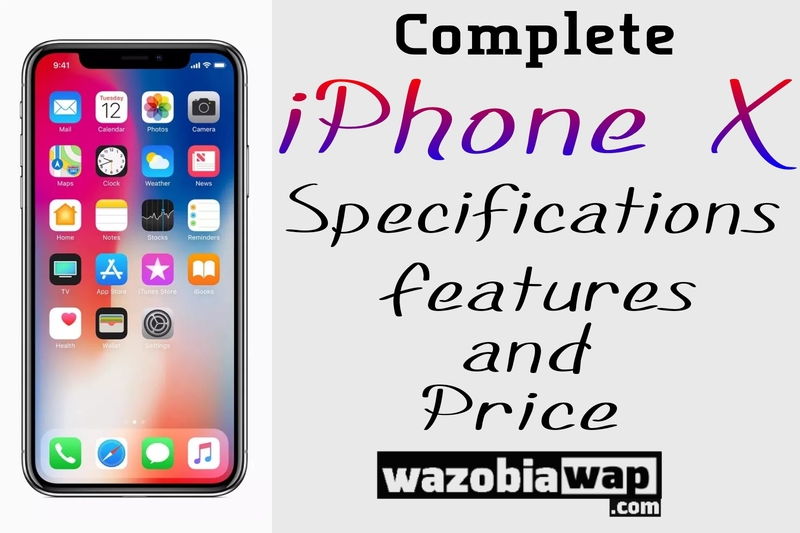 Looking at the specifications, you will see that the iPhone X packs classic and high-end specifications at a very high price. The rich and business people will found it favourable at that price.